Hi everyone! 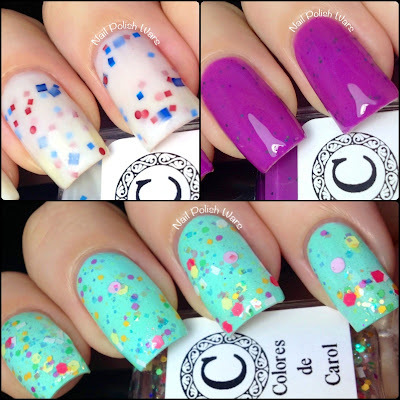 I have some awesome new shades from Colores de Carol for you today! 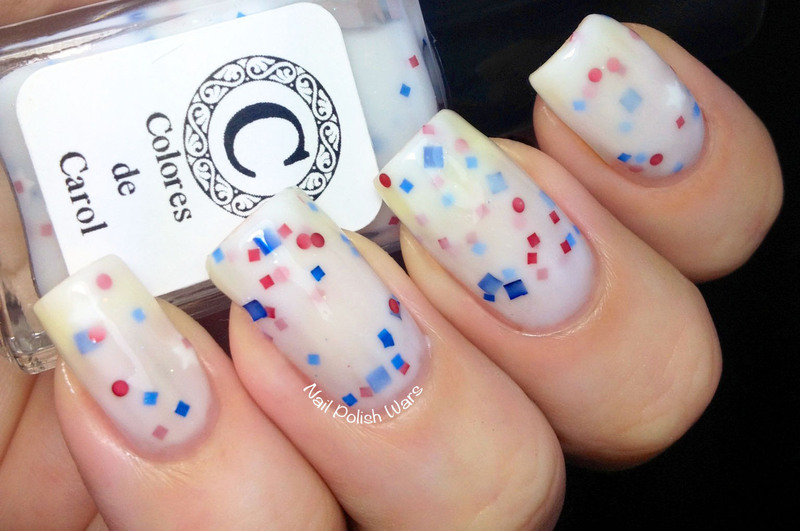 Red, Blue, and Stars is a sheer white crelly with white stars, and red & blue dots and squares. The formula is a bit on the thin side, and took a bit of finesse for the build up. All of the glitters were also very reluctant to come out of the bottle. Shown is three coats of Red, Blue, and Stars. Purple is a bright purple crelly with black micro glitters. This shade also glows in the dark, but guess who's four year old deleted the glow in the dark shots and she didn't realize it until about 10 minutes ago? Yeah, this girl. The formula was smooth and easy to apply. I really like how bright and fun this one is!! Shown is three coats of Purple. 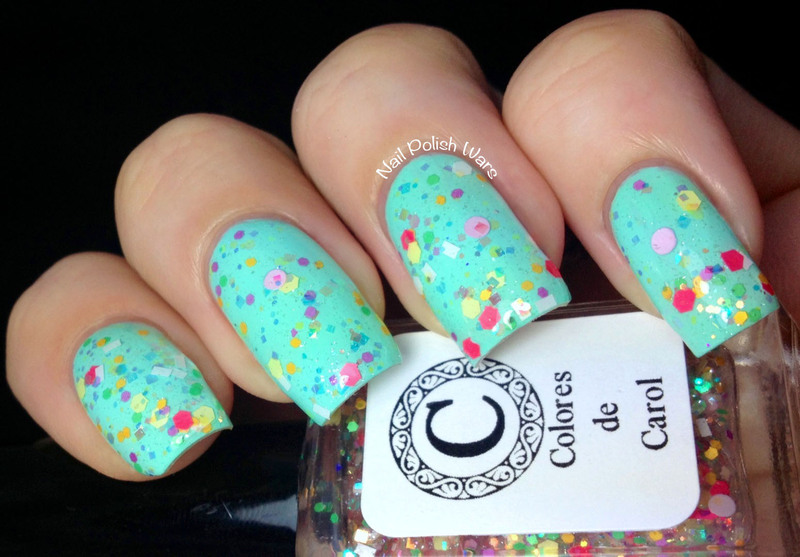 Fun in the Sun is a clear coat loaded with multi-sized matte & iridescent hexes, squares, rectangles and dots in an array of pastel shades. The formula was easy to apply and the glitter spread out across the nail evenly. 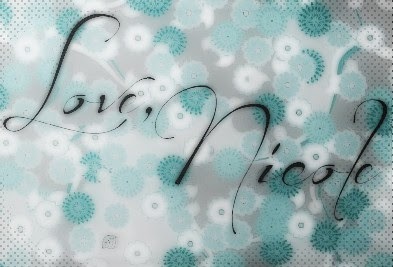 I absolutely adore this one!!! 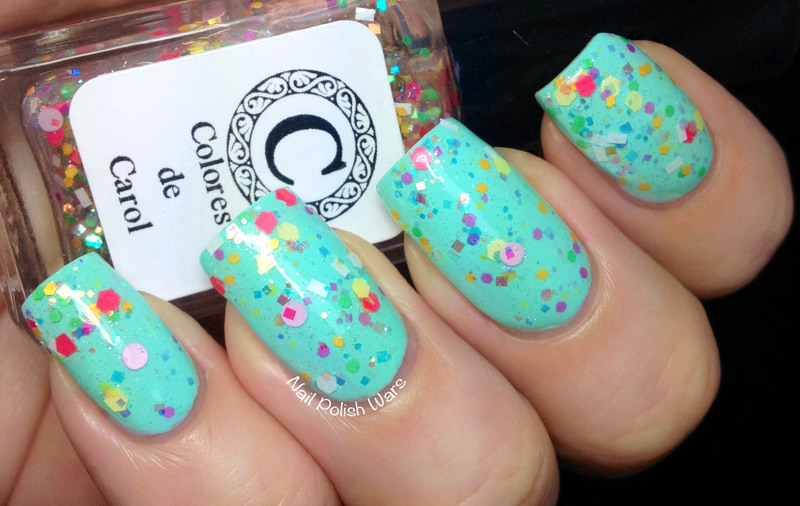 What a fun glitter topped for summer! Shown is one coat of Fun in the Sun over Funky Fingers Mrs. Mint. I really love these Colores de Carol creations! You can find these and other shades at her storefront here, and be sure to check her out on Facebook for all of her latest collections!! Ahh I love Fun in the Sun! These are gorgeous! I love Fun in the Sun! i love that milky base for red, blue and stars!